The heat is sweltering in Atlanta lately. How about a little turquoise and green to cool everything down a degree or two—or twenty. 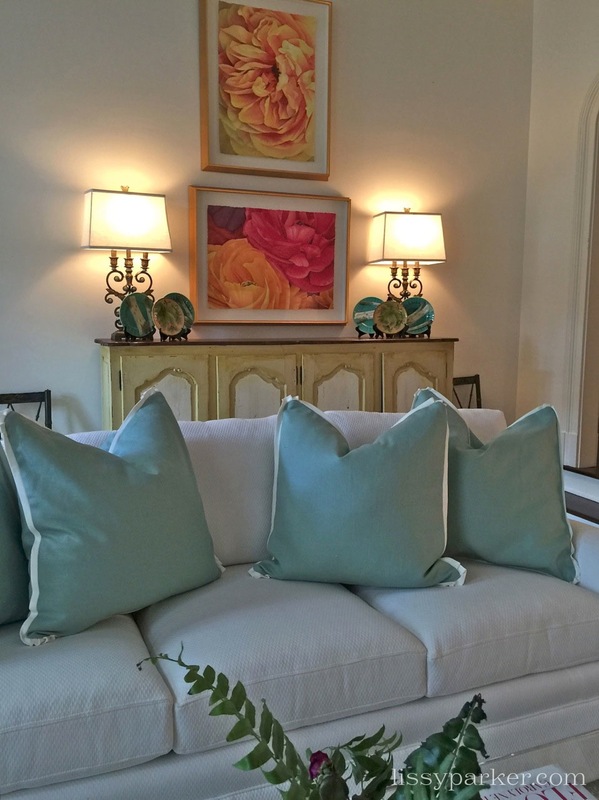 This calm, cooling color combination was used to give a fresh, clean look to the combination family room and kitchen. The walls are painted white to unify the areas. Turquoise and green punctuate the two areas and refer to the garden and pool just outside. Take a little inspiration from the furniture and wall arrangements and add a cooling color and style to your rooms. The fireplace divides the kitchen and family room. 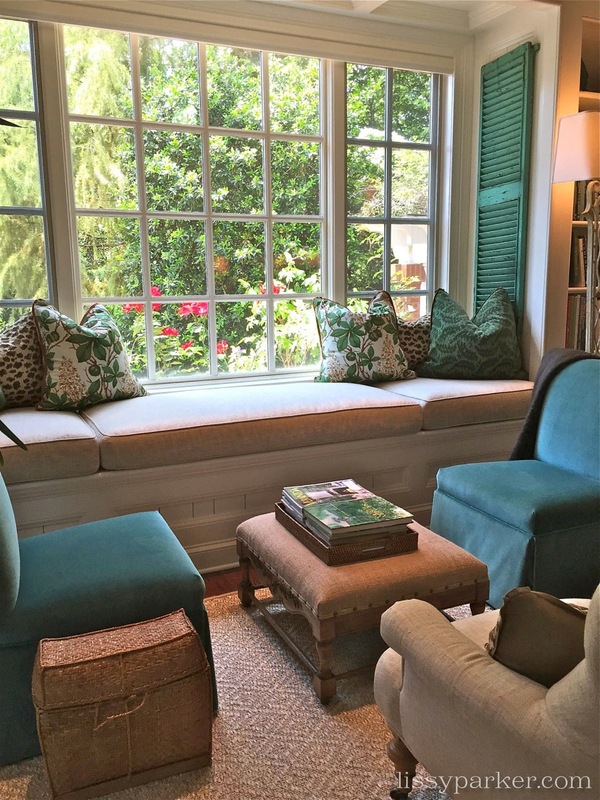 Opposite the fireplace is an inviting window seat overlooking the garden and pool. 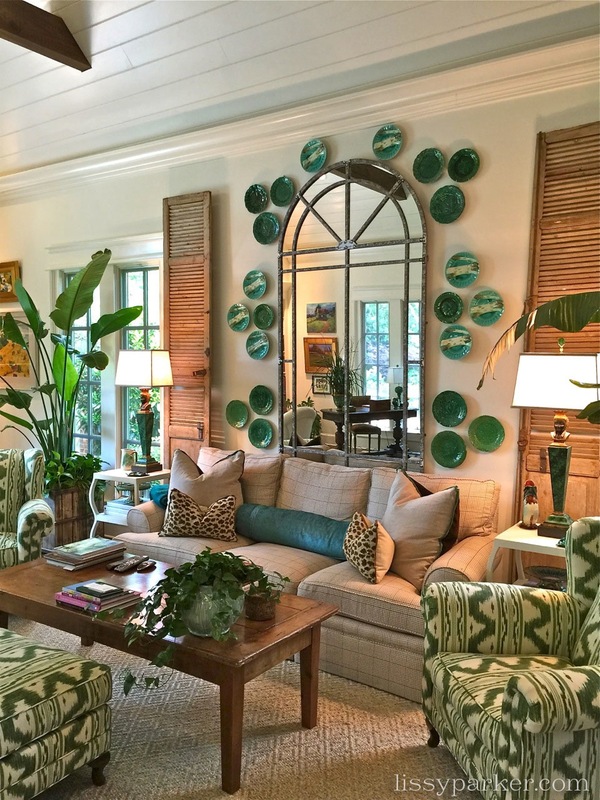 Majolica plates surround the mirror in a refreshing arrangement is frames by antique shutters. The color scheme is continued in the adjoining living room. 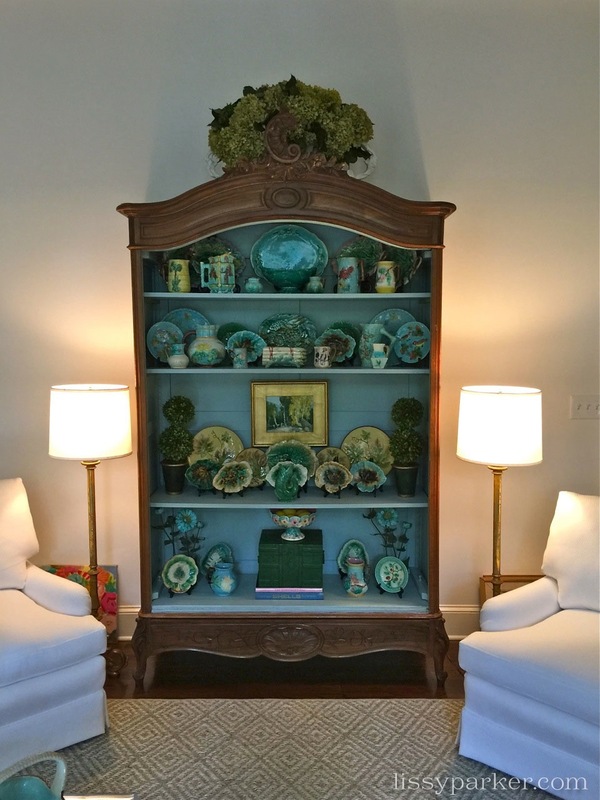 A large majolica collection pops in this painted antique cabinet. Wow—Check out those Window Boxes! It is stunning, Lissy. I love the window seat and have looked and looked at the majolica plate display…cannot even imagine hanging this…amazing! Happy weekend! I love that window seat too. The homeowner has a huge majolica collection and a thing for turquoise. Beth, This is the home of a friend of mine in Atlanta. It is very beautiful indeed. OOPS is what I meant to say. Typo! Love it! Can never get enough green and white! I love the fresh feel! 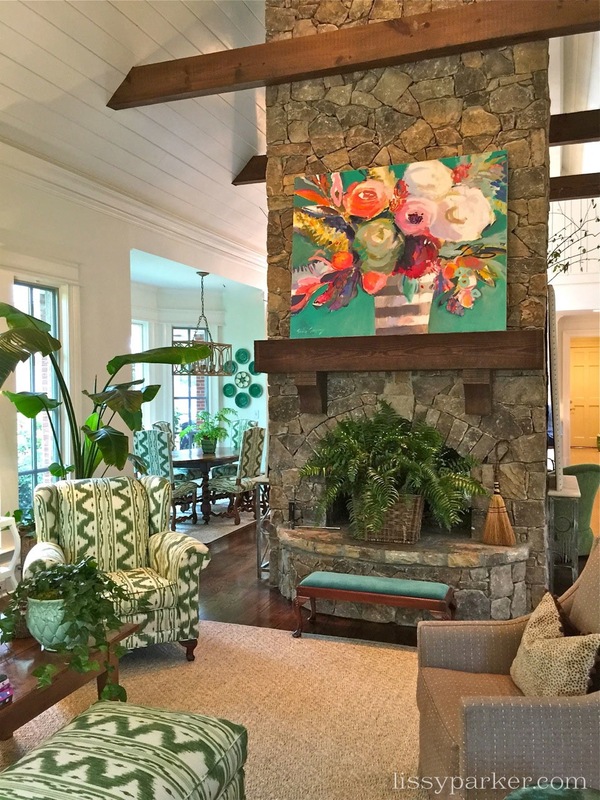 oo lala, the art above fireplace. where did you find it? I will find out for you.